Details of the proposed minimum income guarantee scheme (MIGS) have now been released by the Congress. In brief, the scheme envisages transfer of a maximum of ₹6,000 per month to the poorest 20% households to help them reach a minimum income of ₹12,000 per month. This is likely to benefit 50 million households and cost ₹3.6 trillion. The announcement of the scheme is an important break from the existing consensus on economic policy from two different perspectives. First, it is a clear acceptance that the model of economic growth followed in the last three decades has led to increasing inequality and has not helped the poor reap the benefits of economic growth (at more than 7% per annum in the last two decades). Second, it signifies a break from the earlier approach, which emphasized growth as the best antidote to poverty but reinforces the thinking among some influential economists that the best way to help the poor is to provide them direct income transfers such as a Universal Basic Income (UBI). Of course, the MIGS is nowhere close to a UBI. 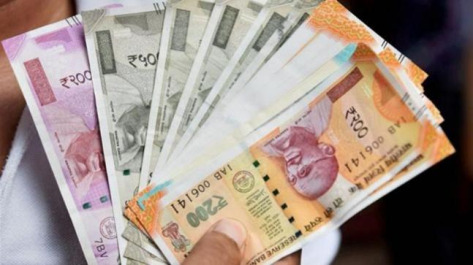 It is at best a variant of the targeted direct benefit transfer (DBT) that the United Progressive Alliance (UPA) had implemented in its second term. The recognition that growth in the last two decades has not benefited the poor and has led to rising inequality is an important admission of the failure of the existing economic strategy. The severity of the agrarian crisis and political compulsions may be the immediate trigger, but it is essentially a result of the nature of that strategy, which neglected agriculture and the inclusion of the poor in India’s growth process. This is particularly true not only of farmers who have seen their incomes stagnate, but also of workers whose wages have remained stagnant for a large part of the last five years. Both groups arenot only among the poorest sections of society but alsopolitically important. Given the seriousness of the crisis and the long neglect of rising inequality, the MIGS is certainly welcome. While reducing inequality, the transfer of resources to the rural economy is going to boost rural demand, which is at its lowest, and thereby help revive it. While there are concerns of fiscal feasibility, these are not serious if the government raises revenues through additional resource mobilization via higher taxes and less corporate giveaways. Even then, is this scheme the best way to reduce poverty? For several reasons, it is not. It reduces the entire discourse on poverty to a single dimension of income while poverty is much more than an earnings deficit. It is also lack of access to education, healthcare, nutrition and, above all, access to a better livelihood. The MIGS approach compensates the poor for their income deficit, but does nothing to change the economic structures that give rise to increasing inequality and poverty. It is problematic if the income transfer is not accompanied by an increase in supply and access to basic services such as education, health and nutrition. In this context, statements by spokespersons of the Congress on “rationalization" of other subsidies does raise a concern. In the absence of an increase in supply and access to basic services, it may rob the poor of the income transfer through an increased cost of accessing subsidized services. It is likely to push the poor towards privateservices that are expensive and also exclusionary. The MIGS also brings back the spectre of targeting and capping the number of poor based on external estimates that was responsible for the failure of the Below Poverty Line (BPL) censuses of 1992, 1997 and 2002. A targeted approach to poverty reduction was given up in the two most important interventions on this, MGNREGA and the National Food Security Act (NFSA), both passed by the UPA. A better alternative would have been to strengthen and improve the existing public services along with transfers to those who cannot access these because of social, political and personal reasons. Such a scheme in the form of social pensions already exists. However, the best antidote to poverty is jobs, which not only allow the poor to participate in the process of economic growth but also improves incomes and allows them to escape poverty. With a debate raging on jobs, efforts to improve their availability would have been the best way to help the poor. Recall that the previous UPA government managed to lift 140 million persons out of poverty through schemes such as MGNREGA and improved access to the public distribution system (PDS) without resorting to income transfers. These not only helped reduce poverty, but also raised wages, reduced the gender wage gap and improved nutrition. Moreover, there is enough evidence to show that in-kind transfers such as PDS foodgrain were twice as effective in combating malnutrition as an equivalent cash transfer. MIGS cannot be a substitute forstructural reforms in the economy, which create more productive jobs and provide stable and remunerative income to poor farmers and wage workers. It is also no substitute for the state’s commitment to provide universal, affordable and better-quality public services to its citizens. At best, it can be a supplementary measure.